Poorly insulated houses have widespread detrimental impacts. Not only economic and environmental, but social too. Therefore, simple energy efficiency measures can create a plethora of benefits to residents, public services and the environment. In this blogpost we examine a case study that highlights this. Community-led retrofit programmes can have far reaching benefits. 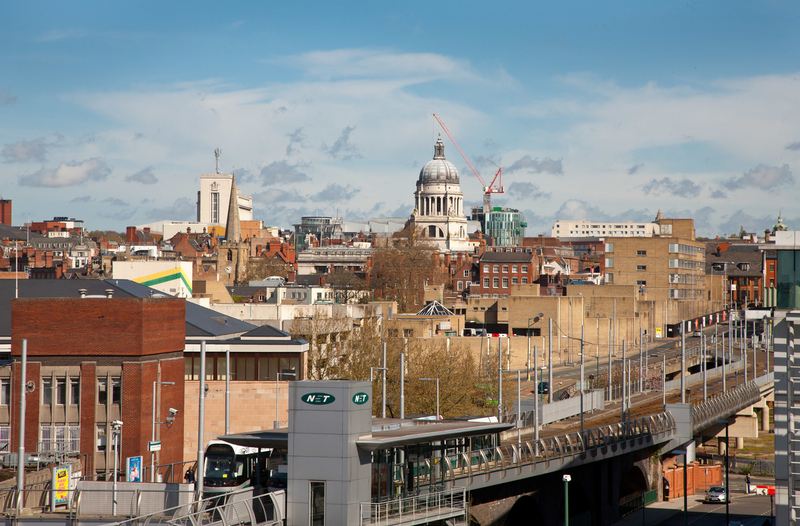 Launched in 2008, The Secure Warm Modern (SWM) programme in Nottingham is an inspiring example of the social, economic and environmental benefits that simple energy efficiency measures can have. Firstly, a bit of background: £187 million was invested by Nottingham City Homes to bring 28,300 homes up and above the national Decent Homes standard. This equates to an average investment of £6,500 per home. This money was invested in double glazing, improving heating systems and adding loft insulation. These improvements increased the average energy efficiency (SAP) rating of homes from 60 to 68. It has been calculated that window upgrades in properties in the SWM project could save tenants a total of £1.8 million a year on their energy bills. Old, G-rated boilers have been replaced with an A-rated one in 7,387 properties resulting in estimated energy bill savings of £1.7 million to tenants, which equates to £230 per household per year. These measures have also helped to reduce the number of households in fuel poverty, from 12% to 6.8% between 2010 and 2011. Not only has this project helped to reduce energy expenditure for households but it has created job opportunities. There are currently 560 people employed in the SWM programme with over a third living in the city itself. Investment in training and the apprenticeship programme is estimated to have created at least £13 million in social value (through increased earnings of individuals over a lifetime). Employing local people helps to increase prospects and expand and retain knowledge within an area. This energy improvement has resulted in a 15% decrease in emissions from properties, equating to an annual CO2 saving of 15,500 tonnes. In context, these simple home improvements have had a similar environmental benefit to taking 3,300 cars off the road each year! Not only do colder temperatures trigger respiratory and cardiovascular diseases, but poorly insulated houses are more likely to be damp, enhancing the risk other respiratory infections such as asthma. As if this wasn’t enough, cold houses have also been linked to poor mental health. It has been estimated that these changes to houses in Nottingham have the potential to improve the respiratory health of over 1,000 children and improve the mental health of over 1,400 tenants (through the reduction of excess cold and fuel poverty). As well as these social benefits it is expected that the NHS in Nottingham could save £700,000 a year by addressing these issues. This programme shows that energy efficiency measures are an important step in improving the health and wellbeing of residents. However, benefits are also made to the environment, public spending and employment. At SmartKlub we believe that distributed energy can be transformational in building social capital and delivering community resilience, resulting in significant economic, environmental and social benefits. Projects like this may seem like a large investment; however, the breadth of areas in which it can have a positive effect creates its own persuasive argument for retrofit.